Does the ghost and the spirit world really exist. December 11th, 2008 by Arwin John. After 103 years since Albert Einstein invented the formula to explain the Theory of Relativity, the modern physicist of 2008 realised that Einstein was proven right all along about the said theory which gave me the impression that ghosts have existed all along, but this truth is not accepted by human logical thinking simply because it has not been proven by the scientific community. Nevertheless, as Einstein pointed out that the universe has its beginning therefore it must have had a beginner, hence the existence of God. In fact, Einstein held to his belief that as the result of the verification of his theory of General Relativity, God who created the universe within His ultimate mind, exists. Therefore, based on Einstein’s theory for sure we cannot deny God’s existence as well the human spirit that returns to the kingdom of God – The Universal Consciousness. Unfortunately, proving something that is beyond the comprehension of the physical understanding does not only require passion, love, personal dignity, respect and reverence towards the spirit of dead but also requires the awareness and the realisation of God’s existence – The Creator of the universe. Nevertheless, when we deal with the paranormal phenomena that are associated with ghost existence, we cannot only rely on the explanations based on the understanding of the logical thinking that is related to the physical law, but we also need to see it from the perspective of quantum reality. In fact, regardless of many kinds of paranormal events yet there are only two major phenomena that are related to ghosts which is firstly, the ghost itself as a personal entity and secondly, the parallel world existence that holds the spirit existence at the higher level of spirit existence whereby both these matters are references of the human destiny that we see as a mirror of our own existence. Therefore in paranormal study, almost every paranormal and ghost researcher more or less conducts paranormal research using scientific tools and have documented well the proof of ghost existence. 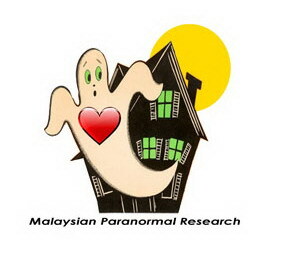 Furthermore, there are multitudes of solid evidence of life after life that ranges from people’s personal experiences, paranormal images, audio, and video that are available for one to see and in the case of Malaysian Paranormal Research, it has documented over 1000 paranormal images, over 100 video recording and over 600 EVPs. Unfortunately, to understand the truth of what lies beyond the spirit world we need to be open-minded about the truth regarding ghost existence within the energy spectrum that is no longer tied to the physical law but exists freely within the universal consciousness - the ultimate mind of God. In other words, the appearance of ghosts no longer appears in a single form, in that most of us would expect ghosts to appear as human figures but reality their can appear in multi configurations based on energy within the universal consciousness. In fact, most of us disregard the paranormal evidence that do not match the humanoid image and because of this we always think that a ghost must always appear in human form. Nevertheless, regardless of the major changes in one’s transition process upon death yet spirits do retain their intelligence and their freewill to do anything. In fact, there is no doubt about the existence of life after life that truly exists based on scientific studies of near death experience (NDE) such as the studies done by Dr. Elisabeth Kübler-Ross the internationally acclaimed author of numerous books on death and dying, who had testified the experience of two coal miners who miraculously servived in a cave-in inside a mine 300 feet underground for 14 days back in August, 1963 [ Ed Conrad, 1990: Proof of Life After Death ]. Furthermore, the study of the quantum mechanics has enlightened our understanding not only on ghost existence but also the existence of the parallel worlds based on the parallel world theory. Hence, what the modern physicists found in their study based on the quantum chromo dynamics that explained the e=mc2 formula of Einstein shows that mass can be converted into energy, and energy can be converted into mass that not only proves that Einstein was right with his theory 103 years ago but at the same times the said formula also helps us to explain and understand the ghost apparition phenomena. Similarly, we can assume and provide solids evidence of ghost existence today but the proof that we have recorded today and in the past only may accepted as true in future when one is able to break through the law of existence that can be further described as the connection point between the sky and the land that can be seen by one as if ‘joined’ at a distant horizon but in actual fact is never physically connected but just connected within the space of God’s mind that goes on to explain the connections between the lower and the higher plane which are the physical existence and the spirit existence that both exist within the universal consciousness. Example of solid evidence from Malaysian Ghost Research. 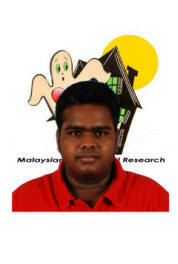 Nevertheless, Augustine who is the founder of Malaysian Ghost Research has documented an example of solid evidence of ghost existence from its research findings and the photo below is one of its solid evidence that is simple yet requires a high level of logical thinking explanation, where back in 2005 the researcher had documented the ghosts present in the form of a still photo that at a glance seemed to be nothing more than just a long exposed photo. Click here to read an answer to a sceptic's claimed : "This photo is due to slow shutter camera which at least in 2 seconds enabled the man walked as far as 5 to 6 feet". Yet, certain issues may need a different approach that requires scientific research being carried out, such as Malaysian Paranormal Research has found through its scientific study that the lunar calendar has no impact on ghost hunting that can be read from their article “The moon phase, doest it really have impact on ghost hunting?“ although for years most of the paranormal and ghost hunting community has pointed out that the full and the new moon is one of the best times for ghost hunting. Nevertheless, ongoing research by Malaysian Paranormal Research has found that the major paranormal phenomena are associated with the occurrences of geomagnetic storms. Nevertheless, at the same time the occurrences of the geomagnetic storm also remind us of the code and the language of the universal consciousness in order for us to realise not only the ultimate reality of our future destiny but also to realise who we are within the consciousness of the spirit world that has become our destiny within the ultimate mind of God.